On orders $90.00 or over! Mati Coffee specializes in repairs for all* espresso machines. 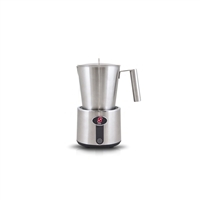 coffee brewers, espresso machines, pizza making equipment/accessories and much more! Contact us today to find out more about our products and services! to confirm the estimate after a thorough check of my machine. really happy that I have found a reliable service place like this." is phenomenal, & I will definitely be coming back soon. machine. Thank you so much. Maria also gave me a few. "If you've ever been to Europe, you know Essse brand. WHO DOESN'T LOVE A DISCOUNT OR A WARRANTY EXTENSION? Your opinion matters to us, therefore we would like to ask for your feedback! We would really appreciate it if you could take a few minutes to post a positive review on your experience with our service. Leave us a review to receive either a 10% discount on your next order (Note: Does Not Include Espresso Machine purchases) OR for an additional ONE MORE MONTH WARRANTY for the service repair on your coffee machine.